By John Smith | November 24, 2015. The festive season is upon us and Dublin Zoo has recently welcomed the arrival of a very special visitor, Santa Claus. Santa’s Grotto is open every weekend from Saturday, 28th of November, and also on Tuesday 22nd, Wednesday 23rd and Thursday 24th of December. Children and adults, can experience the magic of Christmas at Dublin Zoo and enjoy a trip through the enchanting grotto where they will be greeted by Santa and his elves. As well as simply enjoying the magical experience, each child will get to take home a gift and photo key ring of them with Santa Claus to keep as a special memento of the day. 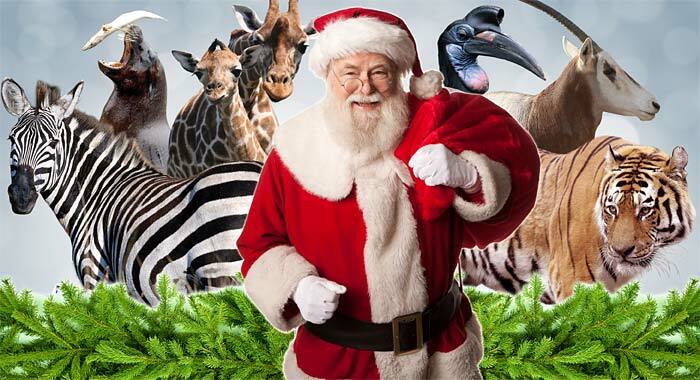 After meeting Santa and his elves, children can then explore the many wonders of Dublin Zoo including: the daily activities and talks, animal feeds and observing some of the world’s most endangered animals. Santa’s Grotto is open from 10am – 4pm, with last entry being at 3pm. The price per child is €9 for non – annual pass holders and €8 for annual pass holders. Normal admission rates also apply. No pre-booking is necessary and tickets can be purchased on entry to Dublin Zoo at the ticket office and retail shop. 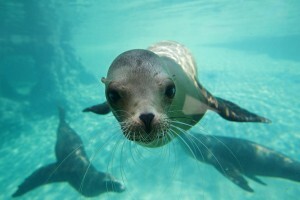 This year has been great for Dublin Zoo. 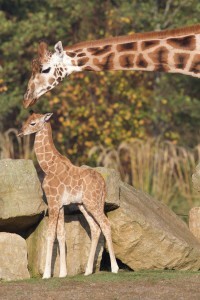 Only a few weeks ago they celebrated the birth of a male Rothschild giraffe, born on Sunday, 25th October. The giraffe calf made his first outside appearance on Wednesday, 28th October, and joins a herd of eight giraffes at Dublin Zoo. 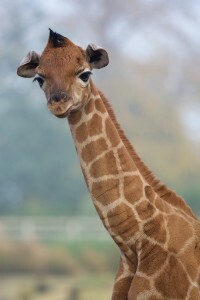 The Rothschild giraffe is one of the most threatened of the nine subspecies of giraffe. In June of this year Dublin Zoo celebrated another birth, this time of a female Asian lion. The cub was born on June 25th and is the third Asian lion cub to be born at Dublin Zoo since May 2014. Asian lions are extremely endangered with less than 350 of them left in the wild and the entire wild population of these lions can be found in one place – the Gir Forest in India. Dublin Zoo is currently making major improvements to its habitats with the new Orangutan Forest set to open in spring 2016. 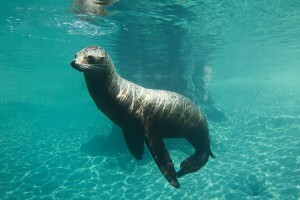 This follows the opening of the new Sea Lion Cove which was opened in June of this year by President Michael D. Higgins. Dublin Zoo was named the 15th Best Zoo in Europe in the 2015 Tripadvisor Travellers’ Choice Awards and given the improvements being made, Ireland is sure to possess one of the top ten Zoos in Europe in the coming years.